Extremely good linear actuators can be expensive and heavy, but what if you need something for relatively light applications? 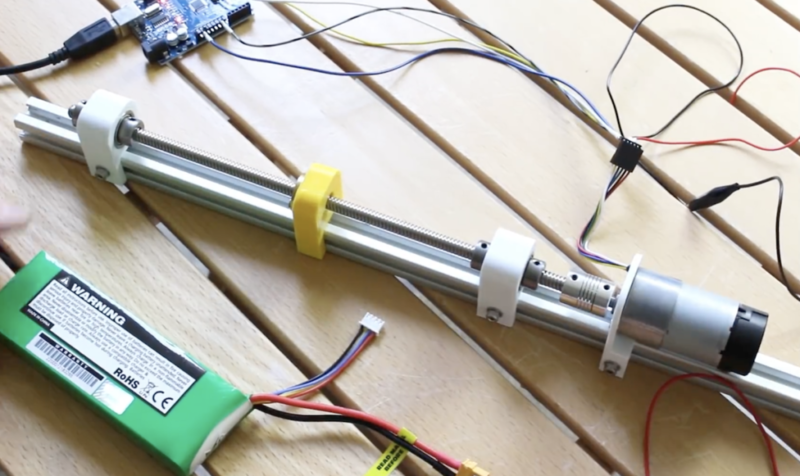 In the video below, James Bruton explains how you can make one using parts including a DC motor with a quadrature encoder, 3D-printed mounting, and a lead screw assembly. His device uses an Arduino Uno for control, using pins 2 and 3 as interrupts to ensure correct rotation—and thus linear travel—sensing. Proper movement is facilitated with a pair of PID loops to regulate both the position and velocity, even under differing load and battery conditions. Arduino code and CAD information can be found on GitHub, while an explanation of the project is seen in the video below. 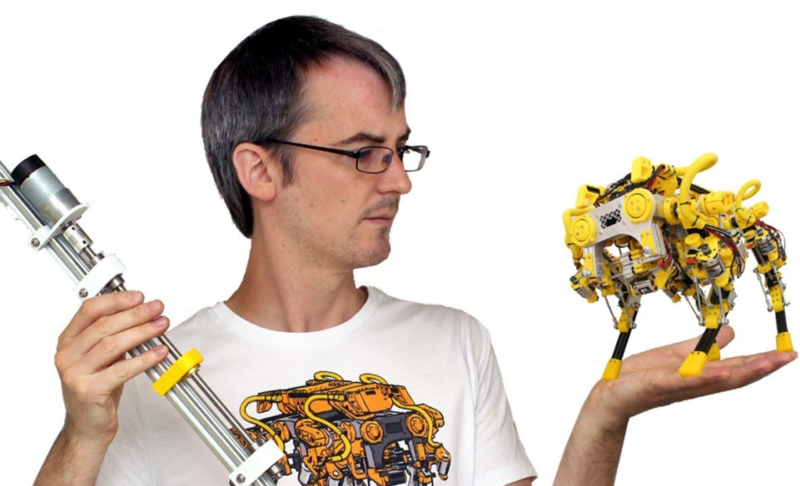 Where can I get the parts to build this wonderful actuator?